Pet fleece used by many vet can be machine washed 40c Wash Maximum. It has a green backing. The fleece will allow urine etc to pass through the fleece, stopping the upper surface from becoming saturated. 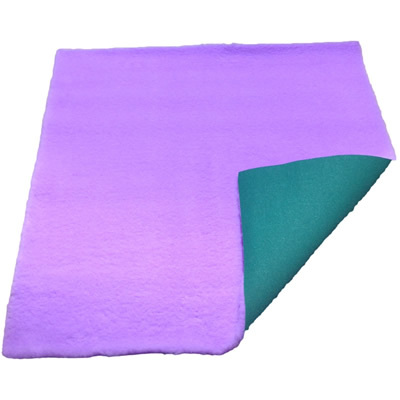 Ideally absorbent pads should then be placed under the fleece where they can collect the fluids.